Home / Latest / Nick Jonas / Priyanka Chopra / Priyanka Chopra and Nick Jonas will tie the knot on this date! Priyanka Chopra and Nick Jonas will tie the knot on this date! 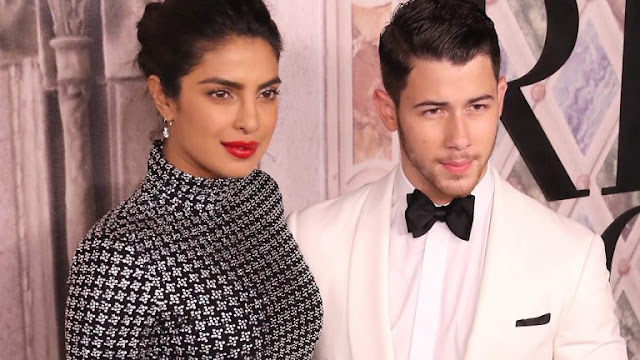 Since, Priyanka Chopra and Nick Jonas got engaged on August 18, speculations about their wedding are doing the rounds. But, finally the wedding details of the couple are out. According to Times of India, the celebrity couple is all set to tie the knot in a traditional Indian wedding ceremony on December 2, 2018 in Jodhpur. Another report in Filmfare claims that Priyanka and Nick decided the gorgeous Umaid Bhawan to be their dream wedding venue when they recently visited Jodhpur. “They will have a limited guest list of 200 people with only their close friends and family in attendance,” Filmfare quoted a source as saying. Priyanka and Nick met at last year’s Met Gala. However, they reportedly started dating only a few months ago. They made several public appearances together, but never acknowledged a romance. Nick is believed to have proposed to Priyanka in London where the couple celebrated her birthday. We wish the lovely couple for their bright future.